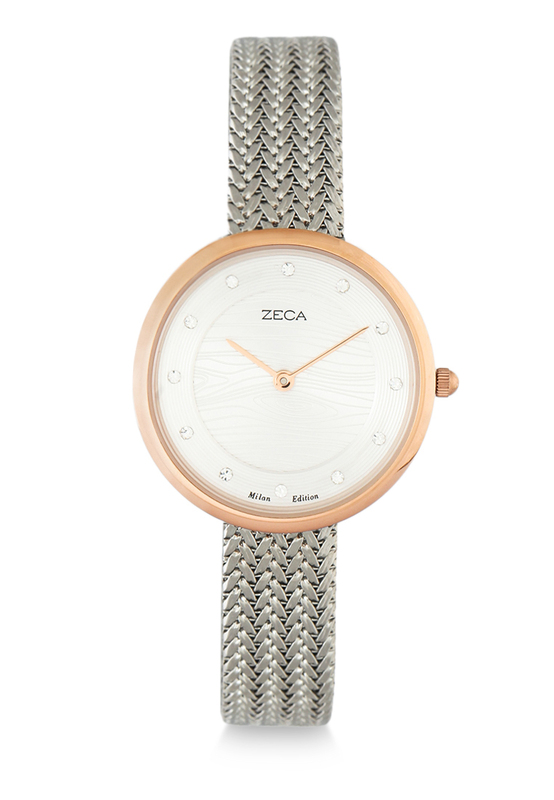 A timepiece of shining simplicity and unique colorways. 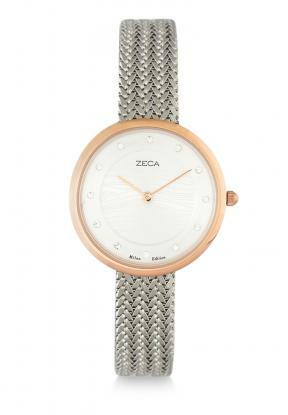 Our new braided mesh watch framed by the briefest bezel. 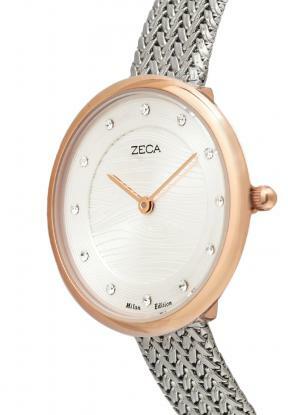 Set into the slightly oversized 38mm stainless steel case is a minimalist dial with raised gleaming crystal dots marking the hours and two-hand movement. 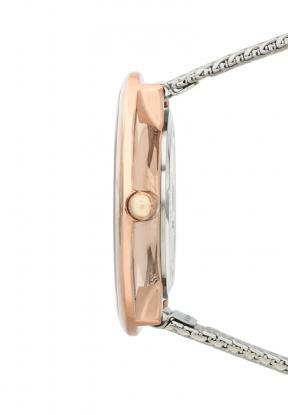 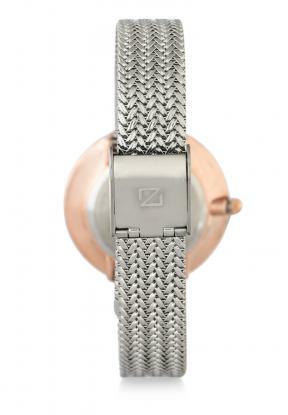 The generous format repeats in the band, a 14-mm-wide steel-mesh bracelet with adjustable clasp closure.